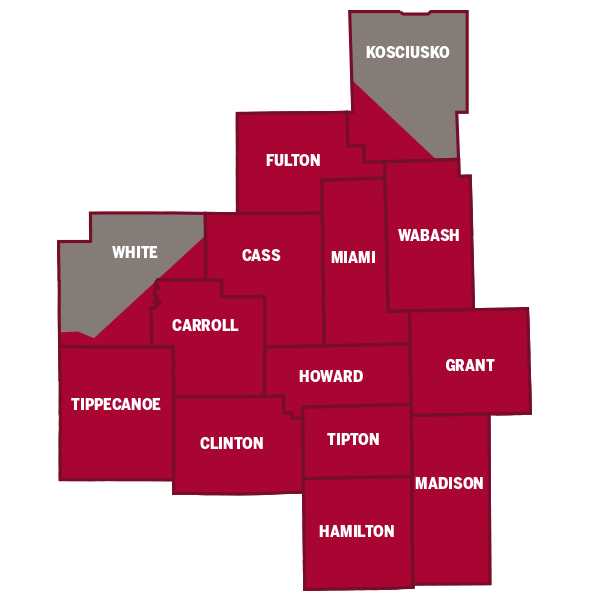 Indiana University Kokomo serves the population of north central Indiana, an area driven economically by agriculture, manufacturing, education, and research. The campus is located in the city of Kokomo, which was founded in 1854 by David Foster. Foster named the community after a Miami Indian chief, Koh Koh Mah, meaning black walnut. One of the most important economic influences in the early development of Kokomo and the surrounding region was the discovery of natural gas in Indiana in 1876. The natural gas industry prompted new industries in Kokomo and the surrounding area, and these industries brought new technologies to the region. Kokomo benefited greatly, and the number of new technologies developed in the city led it to be nicknamed the “City of Firsts.” Among the list of “firsts” was the first pneumatic rubber tire, the first automotive carburetor, the first mechanical corn picker, and the first commercially built automobile, designed by Elwood Haynes, in 1886. Kokomo’s population of approximately 45,000 people is employed by, among others, Chrysler, Delphi Corporation, Haynes International, Holder Mattress, Syndicate Sales, and the Coca-Cola bottling plant. The area has a number of parks, including Highland Park, Foster Park, and Jackson Morrow Park. Residents can enjoy activities at the Kokomo Rib Fest, visit the Kokomo Downtown Farmers' Market, and tour the Kokomo Opalescent Glass Factory. They can visit the Elwood Haynes Museum, the Kirkendall Nature Center, skate at the Kokomo Pipeline Skate Park, and swim at the Kokomo Beach Aquatic Center. And of course, they can take advantage of the excellent education they will gain from attending classes at IU Kokomo.